Here's some good news for those of you who got HMV giftcards for Christmas: the beleaguered retailer will start accepting them again tomorrow. It was a dark day for anyone left holding an HMV voucher when the retailer announced it was going into administration last week and would no longer be honouring the cards. Many were angry that HMV had continued to sell the vouchers over the Christmas period, when it must have known that it would soon be unable (or unwilling) to accept them. 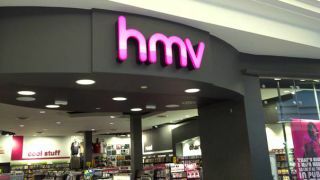 Deloitte, the company overseeing the music retailer's slow descent into bankruptcy, said it can now accept the vouchers having looked at HMV's books again. Meanwhile, the business vultures are circling with around 50 companies and consortiums interested in picking up what's left of HMV. Game, the struggling games retailer, is one, while a group of music labels and film studios are said to be looking into bidding as well.